A bone graft can strengthen the bone in your jaw and help prepare the site of a missing tooth for a dental implant. Dental Restorative Group may recommend a bone graft to patients for both structural and aesthetic purposes and, depending on the case, may be able to perform it at the same time as the dental implant. We ensure before treatment that patients understand our approach, and we conduct procedures as gently as possible, prioritizing care over expediency. Our offices are located throughout Greater Boston—patients can have a bone graft in Belmont, Cambridge, or Arlington—and we are available six days a week for appointments. Dental Restorative Group participates in several insurance networks and helps in the filing process. To our doctors, a great patient experience is as important as great results. Learn more about our work and our approach. The durability of a dental procedure depends on a variety of factors. One of the most important is the strength of the jawbone that holds the teeth in place. If you are receiving a dental implant, for example, the new tooth root that your doctor places will need to form a close bond with the bone in the jaw. This helps it to provide the same function and strength as your natural teeth. In a bone graft, your doctor will transplant bio-compatible material—typically titanium—to your jawbone. The bone in the area of the surgery will grow around the graft over time, forming a stronger foundation. Patients in Belmont, Cambridge and Greater Boston may require a bone graft to promote the long-term strength of their teeth or dental implants. Teeth undergo significant pressure whenever they are chewing or biting. A graft gives them the durability to function for years to come. In advance of dental implants. If the foundation of your teeth has eroded significantly and isn’t able to support a dental implant, you may require a bone graft first. In this case, your doctor will perform the graft, evaluate your progress, and then place the dental implant once the site has healed and the bone has strengthened. 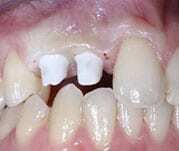 Grafts take about four-to-six months before they are ready to support a dental implant. 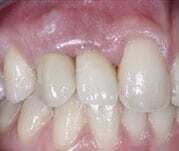 At the same time as dental implants. The area where a tooth is missing may experience erosion (bone resorption) over time. In many cases, adding a bone graft can improve the strength and the aesthetics of a dental implant. Patients who choose to have a bone graft want the most durable, aesthetic, and effective outcome possible. Having the procedure performed properly the first time prevents the need for a second, revising surgery. The specialists at Dental Restorative Group in Belmont, Cambridge and Greater Boston are experts in the restoration and replacement of teeth. They are researchers, instructors at Ivy League institutions, and caring medical professionals. As a result, they prioritize high-quality materials in their procedures. As with other dental devices and tools in our practice, our team carefully reviews the materials that we use. This means evaluating current research, ensuring efficacy, and exploring less-expensive-but-effective alternatives to meet the needs of every patient we serve. Come to Dental Restorative Group for an initial consultation for your bone graft. Belmont, Cambridge, and Greater Boston patients will appreciate our friendly staff, timely appointments, and the variety of insurance networks in which we participate. Should your doctor recommend a bone graft, you will schedule a date for your procedure. Your doctor will advise you whether you should have the graft as part of another treatment, such as dental implants, or in advance of other procedures. The graft can take anywhere from one hour to several hours depending on your needs. Most Belmont, Cambridge and Greater Boston patients experience some bruising after surgery but manage discomfort with over-the-counter medication. You can expect follow-up visits with your doctor, during which the doctor will ensure that you are healing properly and that you have what you need for the speediest recovery possible. Learn more about receiving a bone graft. Schedule an appointment with our Belmont, Cambridge, or Arlington offices online or by phone.